Players who are looking to improve their shot while off balance or not in a typical shooting stance can practice with the Wrist Shot – One Foot Drill from the 5000 Puck Challenge. 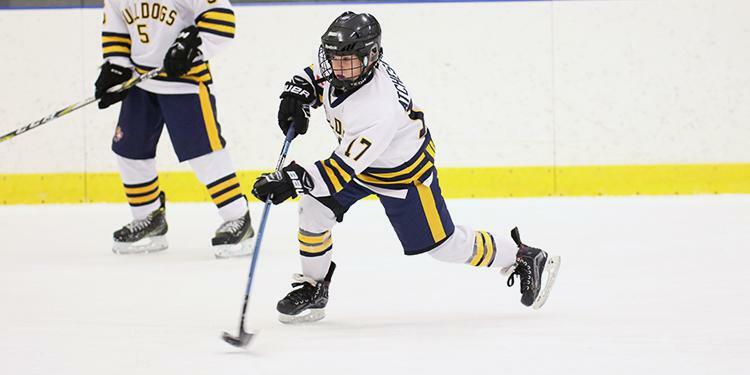 Part of the OMHA Players Club presented by HockeyShot, the drill uses repetitive, meaningful motions to help players improve in this area of the game. Seldom is a player in the perfect position for a shot on goal. This drill works on proper technique while in an off-balanced position. The ability to shoot the puck in various situations that arise during a game is an invaluable skill. The Wrist Shot – One Foot Drill provides a game-like situation for players to use while still in motion. All players need to complete the drill are a stick, gloves, a ball/puck, a chair and a place to practice! From there, simply watch the video and tracking your progress on the challenge tracking sheet. To simulate an unbalanced shooting position, perform wrist shots with the back foot elevated on a bench or chair equal to knee height. All weight should be on the front foot. Snap the wrists to generate more power to the net. The bottom wrist flexes and whips the stick through towards the target. The follow-through will dictate the height and accuracy of the shot. Head should be up with your eyes on the target. Join the OMHA Players Club presented by HockeyShot! 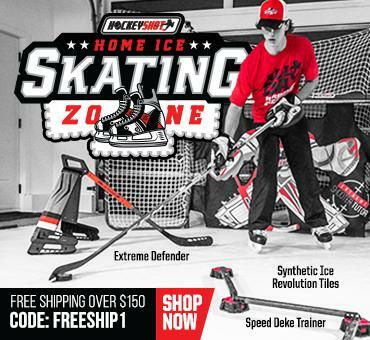 Members of the Players Club receive a 20% discount on all HockeyShot products. Download the 5000 Puck, 10,000 Touches and 30/30 challenge tracking sheets and complete the challenges! Work on your hockey skills and be eligible for prizes at the same time! The OMHA Players Club presented by HockeyShot is comprised of three different challenges that each aim to improve a different hockey skill. The 5000 Puck, 10,000 Touches and the 30/30 Challenge offer unique activities and exercises that will grow and develop the game of a player through fun and repetitive drills. Areas like balance, agility, stick handling, shot accuracy and shot power can all be developed and improved through the OMHA Players Club. Each challenge has a downloadable tracking sheet where players can chart their progress. There are suggested guidelines for how long it will take to complete each challenge but players can work at their own pace.